FAYETTEVILLE – The Arkansas men’s basketball program will be playing in the postseason for the third consecutive year – and fifth time in the last six seasons – as the Razorbacks, seeded fifth, will play at fourth-seed Providence College in the opening round of the 2019 National Invitation Tournament on Tuesday (Mar. 19). Tip-off in Providence, R.I., at the Dunkin’ Donuts Center is set for 9 pm (ET)/8 pm (CT) and the game will be telecast on ESPN2. 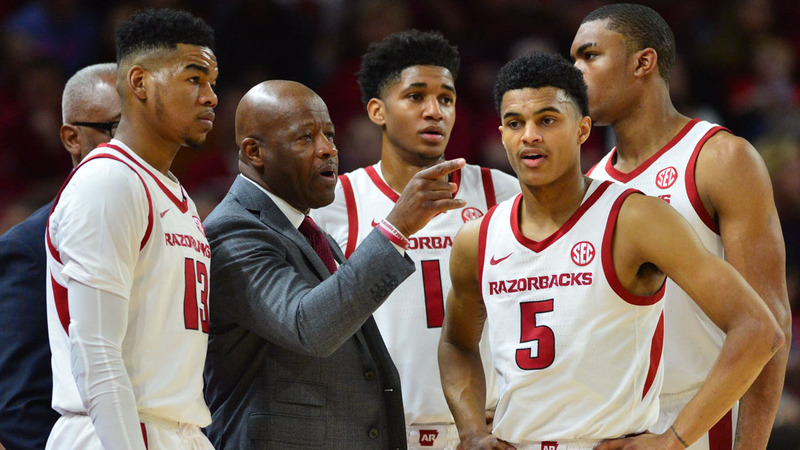 Razorback fans wishing to purchase tickets should contact the Providence Ticket Office by calling 401-865-4672, emailing attickets2@providence.edu or visiting online at https://bit.ly/2HANR1W. The first three rounds are held at campus sites and in most cases, the higher seed is the host.